TheraLife® was founded in March 2000. Our mission is to develop superior botanicals that relieve symptoms with fewer side effects. In other words, we want to provide natural treatments that help keep the body as a whole in balance. TheraLife® has developed seven products that treat and prevent the progression of medical conditions. We treat conditions including: dry eye syndrome, autoimmune dry eye, and dry macular degeneration. We also have products that relieve muscle ache, joint pain, and stress. Our products are useful to people who have not been able to obtain relief from other methods and to people who prefer to treat their medical conditions naturally from the beginning. TheraLife®, Inc. has been FDA Registered since 2000, Quality Standards Guaranteed. Our products are registered with the U.S. Food and Drug Administration (FDA) and adhere to the strictest regulatory guidelines and requirements. Every one of our products is manufactured and packaged in San Jose, California. We use only facilities that are good manufacturing practices (GMP) compliant in order to ensure the quality of our products and the satisfaction of our customers. TheraLife® Eye Enhanced uses our innovative delivery system. It increases intracellular metabolism (Mito-Activation), membrane permeability, and blood microcirculation. The result is an improved and more noticeable therapeutic effect: balanced, comfortable eyes. Our present research focuses on eye disorders. 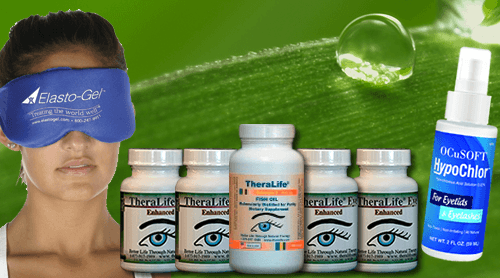 TheraLife® Eye Enhanced completed a Phase IIb, six-site, double-blind, placebo-controlled clinical trial designed to scientifically test its level of effectiveness. In the trial, TheraLife Eye users had more significant improvement for dry eye syndrome than test subjects who were given a placebo. In the pain management area, our products include TheraLife® Wrist, Neck, Back & Leg and TheraLife® Fatigue. TheraLife® Fatigue is formulated to reduce stress and fatigue and to promote healthy sleep. TheraLife® has a strong and experienced management team, plus world-renowned scientific advisors. The company has been granted three U.S. patents and has five additional patents pending.